Is job share right for you? When you job share you have to give up a certain degree of control over the work, be prepared to discuss decisions and sometimes to compromise, as well as to share the credit for successes and responsibility for failures. You may not get individual credit for your work. There are lots of ways to find a job share partner. Sometimes posts are advertised as a part-time/job share or with the option of part-time/job share; some people job share with a colleague they already know; some line managers may recommend trying job sharing. Some departments have a job share register which may help staff find a job share partner, but there is also the Civil Service Job Share Finder, which allows you to search for job share partners by a range of different criteria, including department, grade, geographical location and profession. 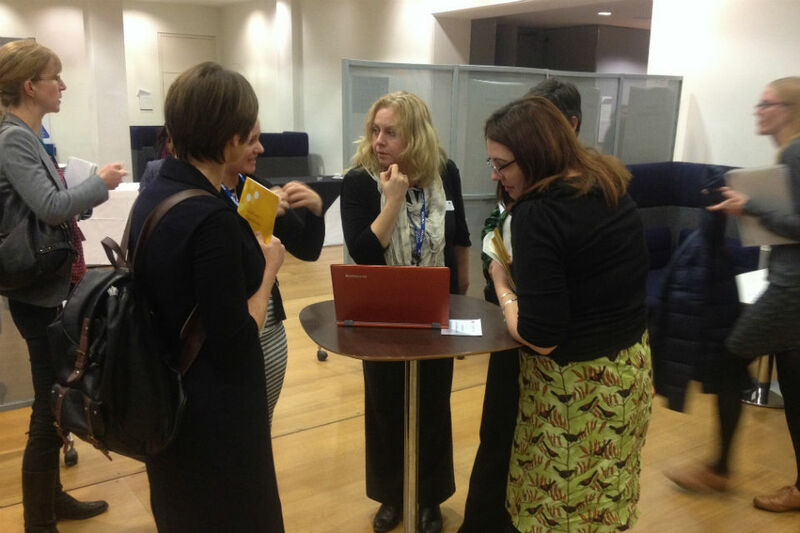 You may also be able to get advice from your departmental HR team or staff network group. There are many advantages to job sharing with someone you already know – it’s likely to smooth the start of a job share partnership if you know you get on well already. However, it is not essential for job sharers to know each other beforehand. Lots of people matched up in other ways have formed excellent relationships with their job share partner. It is important that your job share partner is someone with whom you can easily communicate, collaborate, and disagree with, because you will not agree on every issue and you need to be prepared to discuss and compromise on occasions. However, don’t try and don’t seek out your perfect clone! The most important thing is for both of you to be really clear from the start about your hopes and expectations, the kind of work you enjoy, your ways of working, particular skills and previous experience and development needs; and how you would plan to manage and communicate about the work. Be as honest as you can be about what you’re looking for. Before you commit to job sharing, make sure this really is someone you can work with – trust your instincts, and don’t be embarrassed to say no if you don’t think you can work together. what is your proposed ideal working arrangement – actual days, number of days, ideal start and finish times? What is the driver for this and how flexible is that ideal? how flexible can you be with regard to working hours and responding to unplanned demands? Will inflexibility (for example due to childcare) cause any issues? do you share the same career aspirations i.e. likely to want the same outcome from the job share partnership? what is important to you at work and at home? Are these values common? how would you tackle some typical scenarios likely to occur in the role? Do your styles suggest you have similar instincts and values when taking decisions about how to deliver your work? how will you deal with criticism or feedback? will you want to share your appraisals? what are your skills, talents, strengths and weaknesses? Are these complementary, to provide a broad skills base and enable each to play to the other’s strengths? in what way will you shape the role around your own skills and experience, and what added value are you seeking from your job share partner? what will success look like in the job share and how will you go about checking with each other that you are measuring up to those success criteria? There are a number of Civil Service Learning products that will help you develop your skills, including ‘Collaboration and Partnership’.